“Yesterday, Memories of a Beatles Fan” is one of those books suggested by Amazon’s genius bots, no doubt because I buy and read a lot of Beatles books. I had never heard of it but it sounded intriguing–the recollections of an early fan’s memories of the boys. I downloaded a sample and wow!!! It didn’t take long for me to buy the book. Margaret Hunt, the author, grew up in Liverpool and truly was one of the earliest Beatles fans. She saw them when they were a five-man group with Stu Sutcliffe on bass, and they were so unknown at the time that, when Hunt and a friend (the ubiquitous Carol) read on the handbill that they were from Germany, she assumed they were a German band and was surprised to hear them speak English! So begins Hunt’s wild ride as a super-fan. She beat the wave of Beatlemania and was rewarded with incredible access to the boys. She actually hung out in the band room at the Cavern Club and most closely bonded with John who went out of his way to include her nearly every time the band played there. One time, when Margaret had to skip one of the boys’ two concerts on a single weekend, John wanted to know where she was. He was that used to seeing her sitting in the front row. When Margaret told him she didn’t have the money for both concerts, he told her that, if that ever happened again, to let him know and he’d make sure she got it. John welcomed her time and again into the band room even when surly George gave her dirty looks. I was blown away again and again in reading this book at how close a look Margaret got of the boys. They took to her as well and one night, Paul invited her to an after party. She had to turn him down because her mother expected her home at curfew. I wonder how many times she’s regretted THAT decision. I came away with great admiration for the way Margaret handled herself, over and over breaking with her friend Carol to go the extra mile to get close to the group. One day, she even calls Paul’s house and leaves a message. Paul calls her back straightaway and they chat about some photos she has of the group and, yes, Paul will be delighted to have a look at them. That’s how early a fan Margaret was. John and the others sign her photos again and again and John often signed “To Marge, the No. 1 fan!” She was the No. 1 fan. Part of the charm of the book is how innocent everything was before Beatlemania set in. Margaret would simply stand in line with John as he waited for his chips at the back of the club and exchange a few words. She even argued with him. John comes across nothing like the Beatle we now know. These were indeed his humble days and he had a lot of self-doubt which he expressed to Margaret, especially in the days when it seemed as though they would never get a recording contract. Margaret tells John to pep up because one day the whole world would know how great they were. It’s truly an amazing perspective on the band that took over the world. It’s also an insider’s look at how the fans reacted when Pete Best was replaced (they were incensed) and how things changed when Brian Epstein came on the scene. Margaret is no Epstein fan and thought the boys would have made it without him but no one will ever know. 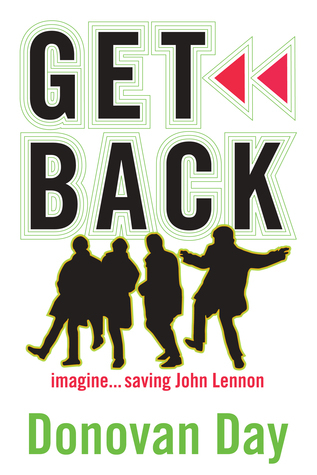 My book “Get Back, Imagine Saving John Lennon” explores the fantasy of what it would have been like to hang with the boys in the old days. Margaret doesn’t need to fantasize–she was there. I’ve never read a Beatles’ book quite like this one. It’s not perfect but it is priceless!!! !